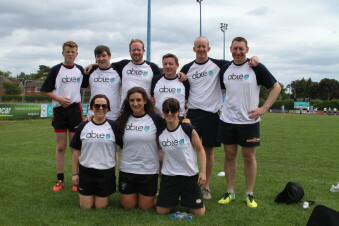 Able > Blog > able news > Our Charity Tag Rugby Blitz – The Total Raised Is In! 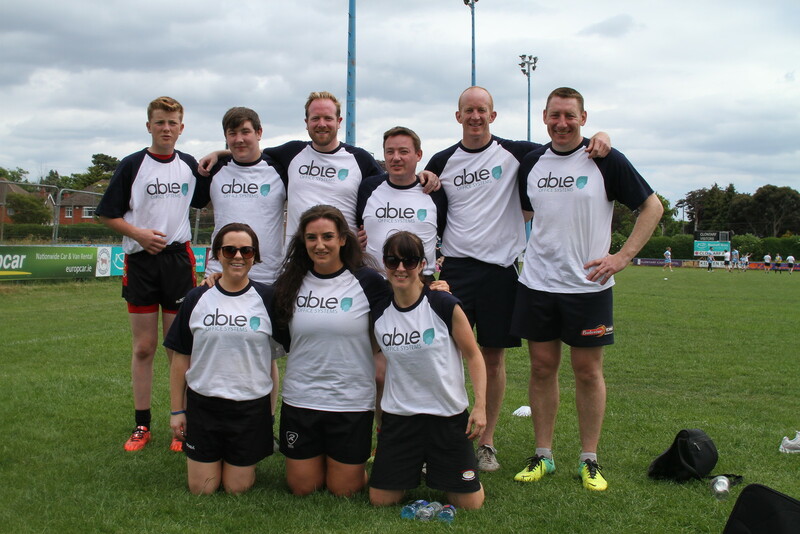 Able Office Systems were thrilled to be the main sponsors and organisers of the second Tag Rugby Blitz held in Clontarf Rugby Club on Saturday June 20th for The Down Syndrome Centre with Team 21 Tots. 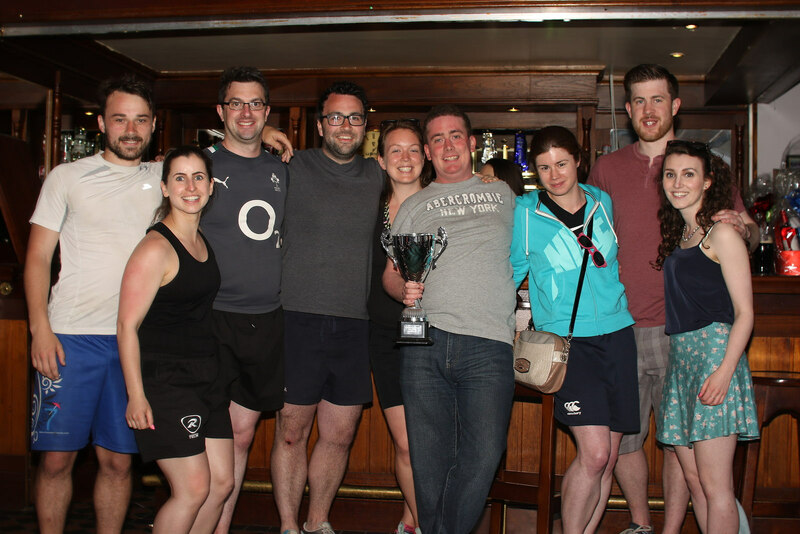 Following on from last year’s success, the response was phenomenal, and the Tag Rugby Teams kicked off to raise a massive €8,350!. We had a fun family day in glorious sunshine, with activities to suit young and old. 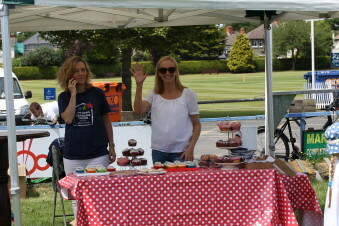 We catered for 400+ people on the day! While the teams played, the children were entertained with outdoor dancing, games and candy floss. Parents and spectators picnicked on the grass. Players and aspiring players practised their kicking using an inflatable speed kicking machine. The party atmosphere was topped off with the arrival of Alan Quinlan the wonderful Munster and Ireland International! 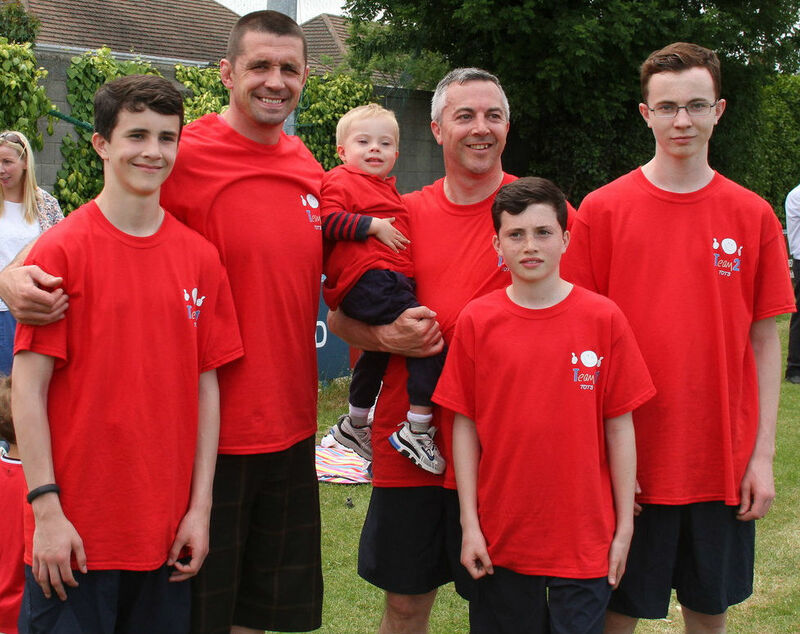 Alan Quinlan went out of his way to spend time and get photographed with many fans, players, families and children with Down Syndrome that were there on the day, and he put smiles on many faces! 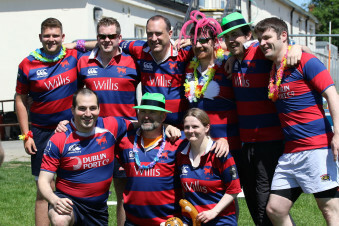 At prize giving time, the massive crowd were well fed with a now famous BBQ in Clontarf Rugby Club. 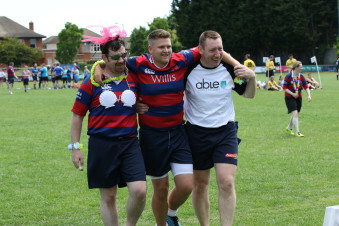 This event would not have been possible with out the help of many people with an association to Able Office Systems. Due to the extreme generosity of our families, friends, employees, customers, suppliers and all in Clontarf Rugby Club, we ran this event with no overheads. We are extremely proud to announce that once again ALL funds raised have gone directly to The Down Syndrome Centre with Team 21 Tots. 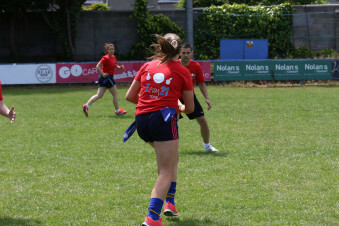 Both organisations have expressed their utmost gratitude to all involved stating that the funds raised will make a HUGE difference to the provision of services enhancing the lives and progress of children with Down Syndrome! Check out how good we all look! 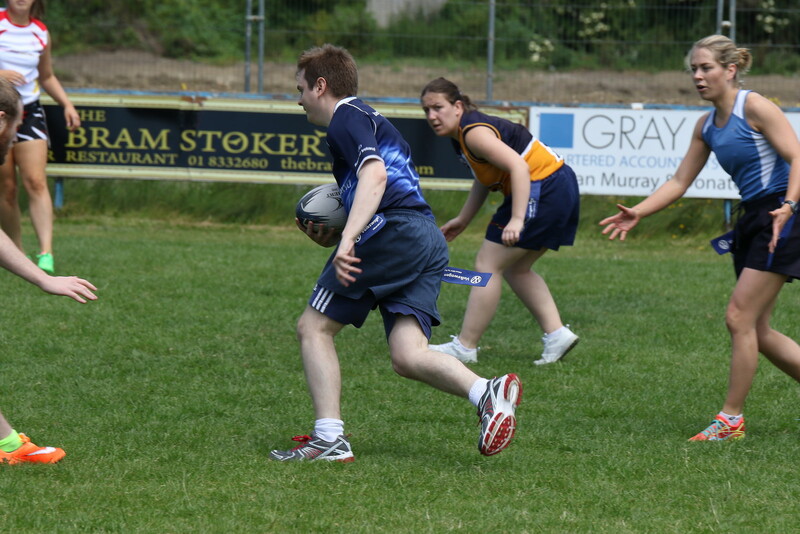 Team 21 Strut Their Stuff! 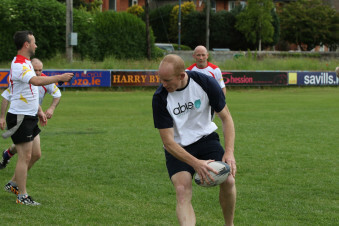 A Service Engineer Can Play Rugby Too! 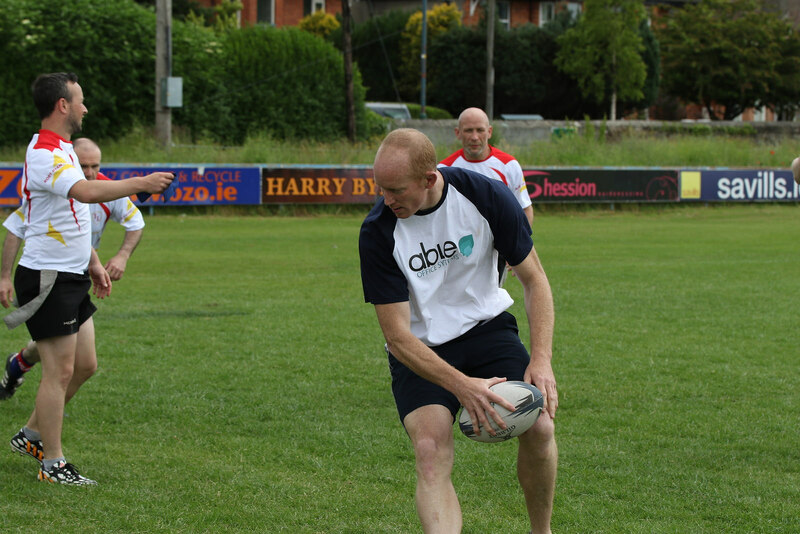 Current British Police Captain & Ex Saracens Ben plays for Able – we think he is a topper! Andrew from Down Syndrome Centre gets a helping hand following an injury and he is still smiling as always! Alan Quinlan meets the Cussen Boys! 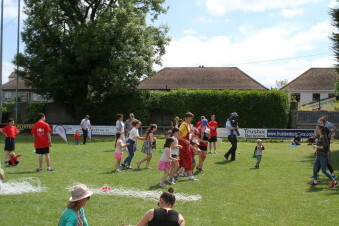 The children’s activities were a huge hit – check out the Macarena dance! 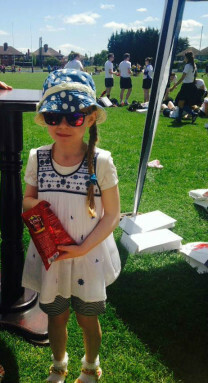 Ivan’s daughter Kaitlin having a great day! 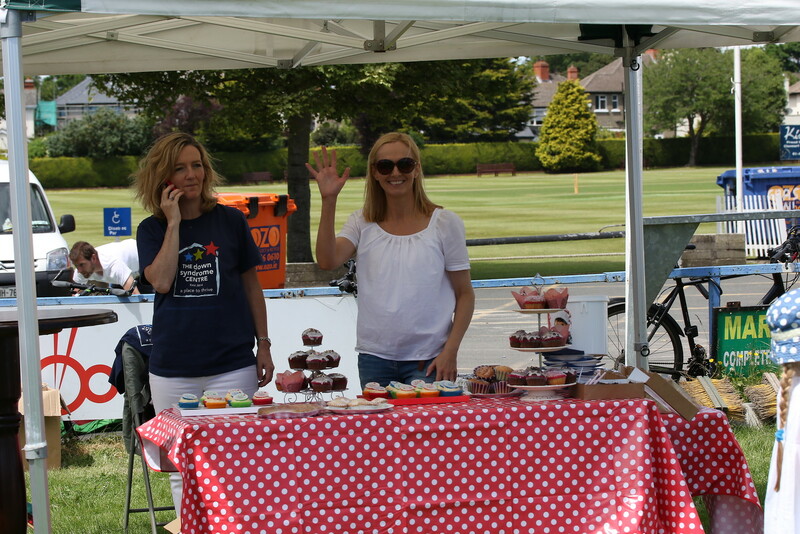 Dolores from Able and Nuala from Down Syndrome Centre – the calm before the storm – looking too relaxed in the sun! 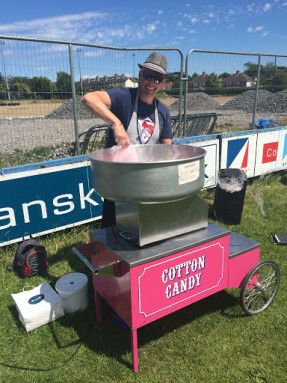 Any one for candy floss? 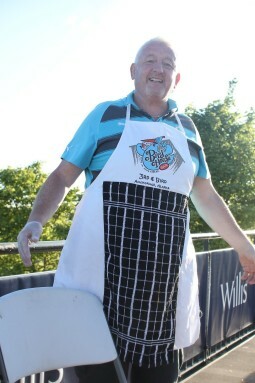 Dave – one of the BBQ Kings! We are so proud to contribute to The Down Syndrome Centre! Images courtesy of Laurent Coudeur. 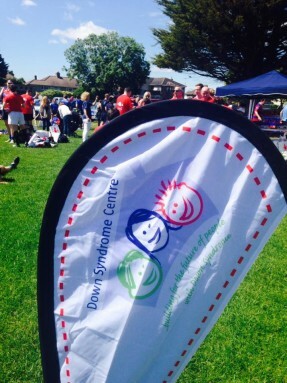 In October 2014, The Down Syndrome Centre opened the doors to Ireland’s first (and only) services-led centre for children with Down syndrome and their families. The centre currently caters for children with Down syndrome aged 18 and under. They provide intervention services including Speech and Language Therapy, Occupational Therapy, ‘Team 21 Tots’ a parent and baby class and an early-intervention programme, SKIP. The Down Syndrome Centre also run a Social Skills course for older children, organise monthly seminars and workshops and host an expert panel who provide parents nationwide with answers to any questions they might have about their child. The centre itself has become a central hub where friendships are blossoming, particularly in our warm and colourful family resource room. It has become known as a place where friendly welcome and support is guaranteed!